Listen to "Learn Luganda (Teach Yourself Luganda) (Spoken in Uganda by the Buganda people in Uganda)" on your iOS and Android device. Learning Luganda is now made easy and exciting with this English-Luganda beginner's Audio book. It will help you learn the basic vocabulary and expressions in a simplified way. It is compiled and recorded by language experts. 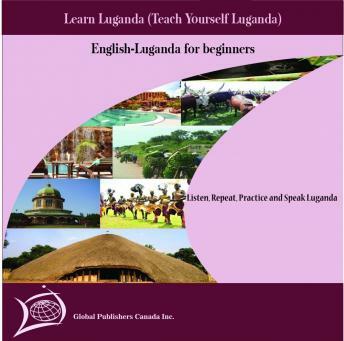 It is recommended for all beginners in Luganda. Listen, repeat, practice and speak Luganda using this beginner's course.